It does not require any special skill set to understand that quality customer service plays an important role in your business. Customers play an important role in spreading the good word about your business and become instrumental in its growth. Hence, contemporary websites, particularly those related to e-commerce and online shopping, prefer live chat support for providing real-time support to the visitors, and deter them from leaving the website. If you wish to make your business a successful one then you cannot take customer satisfaction for granted. You should devote your available resources for enhancing satisfaction level of customers. A live chat application can complement this endeavor for your both business and customers in the form of reduced expenses, increased sales, improved customer service and loyalty. Responding faster to a lead or potential customer is sure to leave a favorable impression rather than to make them wait. It just takes common sense to understand that a prompt response will not only make them happy but it can have a big role in converting them into actual customers. Live chat applications are considered one of the most productive tools that B2B companies are utilizing on their websites. Because it converts and provide rapid solution to customers problems. Customers expect more than just a support email response to her query 48 hours later. Just think about it, if you respond 48 hours after a potential lead inquires about your company you can be sure that they are not even thinking about your product or service anymore. Even worse, they may make a purchase decision in favor of a competitor with faster response time. This is where a live chat can give a comprehensive solution when you are personally not there to respond. For this piece of writing, we will take into account the CCIChat that is a useful live chat system for websites that can help you to convert online visitors into loyal customers. This tool is simple to use and comes free of cost. 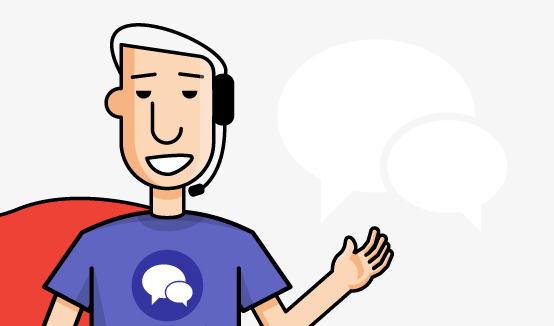 If you have been looking for a complete live chat system for your website to provide instant support when it is most needed CCIChat is your best bet. From your WordPress installation go to the Plugins section at the left menu of your WordPress dashboard and then click on Add New. 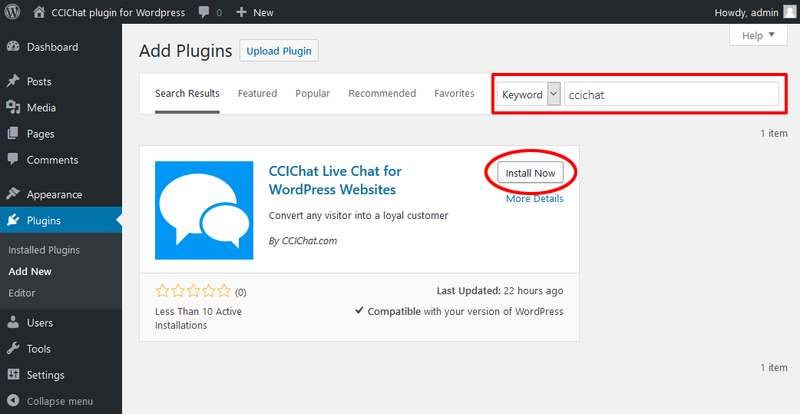 At the plugin search field search for keyword CCIChat to get the plugin listed at the search result and then click on the listing Install Now button. Once installed proceed to activate the plugin by hitting the Activate button at the same plugin listing. 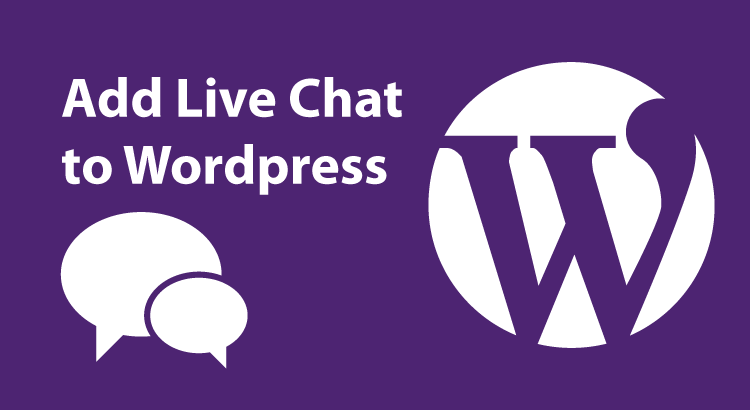 At the WordPress left menu you will find a new option called CCIChat Live Chat were you will find the configuration section of your CCIChat Widget. 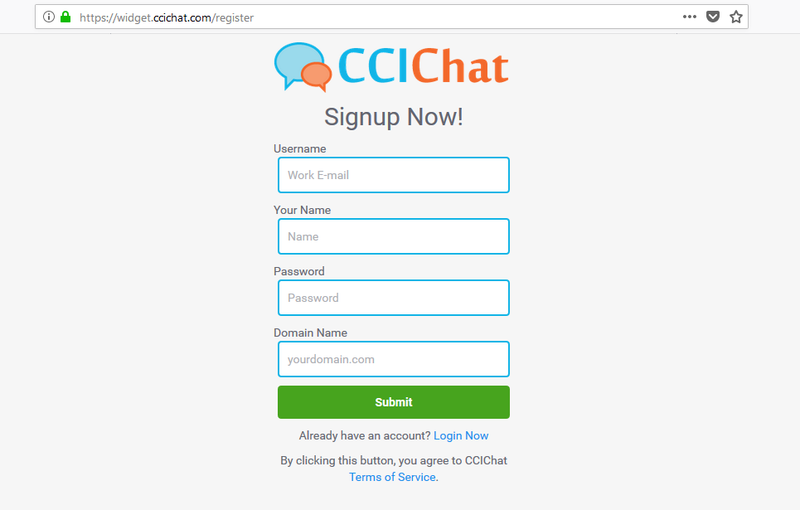 Enter your CCIChat Widget ID in order to configure your chat system. Your CCIChat account is now ready. Fill it by entering your name, password, and do not forget to enter the domain name where you want the widget to be installed. Now you are ready to create the free account. Just click the submit button. Now refresh your WordPress website. At this point, you will see the CCIChat live widget loaded. Try it out by sending your first chat. CCIChat is more than capable of delivering fast chat communication and its’ intuitive visitor tracking tools will support you to become more efficient. Just imagine the about the higher degree of convenience that you will render to your visitors through an innovative real-time messaging system. The presence of multiple communication channels will render greater convenience to your visitor that includes chat messaging, audio calls, video calls, and screen sharing. Log into WordPress and click on Plug-ins and click Add New. Install and Activate your plugin. 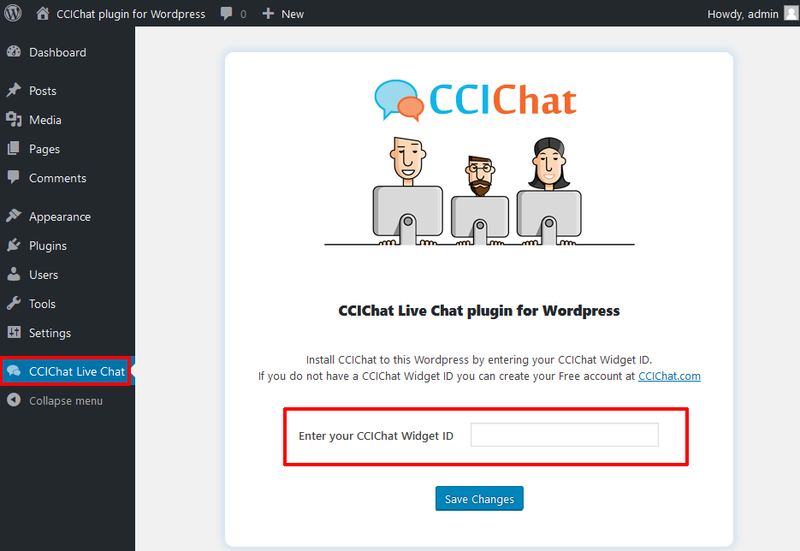 Add your CCIChat Widget ID at the configuration and the CCIChat widget will appear on your website. In contemporary times, live chat is one of the most popular ways that customers communicate with companies while visiting its corporate website. It is easy and quick to install and does not involve any face or voice time. From the perspective of business operation, it provides you with the ability to offer greater customer service, improve sales, develop customer loyalty, and even reduce cost. If you are running an online business and aspire to get hold of an affordable web hosting with round the clock customer support then CCIChat can suffice your requirements. Live Chat applications are quite easy to install and you will have no problems with that. However, make sure that you provide adequate training to the support agents and representatives on the nuances of initiating a conversation and answering customer queries with the warmth and politeness that they deserve.